Pokemon Quest has been out for just over half a year. It’s easy to forget, but there’s a mobile version in addition to the Switch release. Sensor Tower is taking a closer look at the mobile side of things today to see how it’s performed. 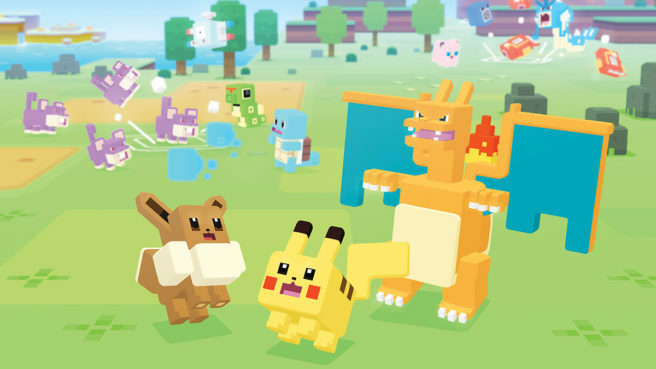 Since launching last June, Pokemon Quest has seen 10 million installs globally. It has also generated roughly $9.5 million on the App Store and Google Play. How does that compare to other Pokemon offerings on mobile? Well, it ranks fifth in terms of downloads behind Pokemon: Magikarp Jump’s 14.5 million, Pokemon Shuffle Mobile’s 15.4 million, Pokemon Duel’s 37.8 million, and Pokemon GO’s 540 million. It’s ahead of Magikarp Jump’s revenue ($5.2 million), but behind Pokemon Duel ($21.6 million), Pokemon Shuffle Mobile ($21.8 million), and Pokemon GO (over $2.27 billion). Japanese players are responsible for 32% of Pokemon Quest’s revenue at $3 million. The United States follows next at 26%, or nearly $2.5 million. The U.S. does have an edge at 2.2 million downloads compared to Japan’s 1.6 million downloads. Pokemon Quest earned $8 million in its first month. However, that was substantially reduced to $150,000 in December 2018.